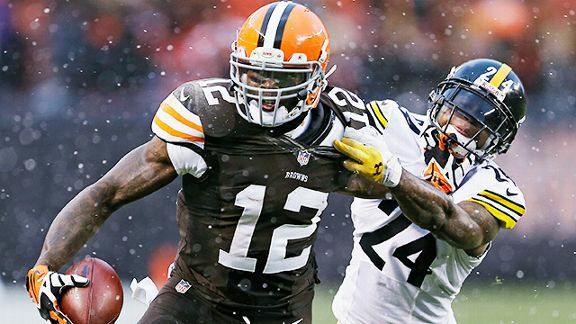 Cleveland Browns wide receiver Josh Gordon found something to keep him occupied while the NFL puts him on ice thanks to a season-long suspension. He will be working in all aspects of their car business including as an on-floor salesman. Gordon will also be heading all of their local community efforts including with the Wounded Warriors Project. He starts this weekend. Along with his assortment of substance abuse issues, cars have not been kind to Gordon either. Back in July, Gordon was arrested for driving under the influence in Raleigh, North Carolina. Well, at least he is trying to make an honest living.